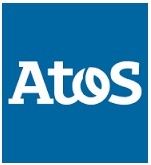 Atos is an international information technology services company with annual revenues of EUR 8.7 billion and 78,500 employees in 42 countries. Serving a global client base, it delivers hi-tech transactional services, consulting, systems integration and managed services. Atos is focused on business technology that powers progress and helps organizations to create their firm of the future. 24x7 or On-call “L3” support of production database services to ensure the highest standards of availability, resilience, integrity, security and performance required by our business systems. Well versed with Exadata Migrations & features. Good problem solving & technical analytics skills.